Contest #3 is here and we’ve teamed up with All Business Cards; they have kindly offered three sets of 500 business cards, which will go out to 3 winners. That’s right, 3 winners, not just one. 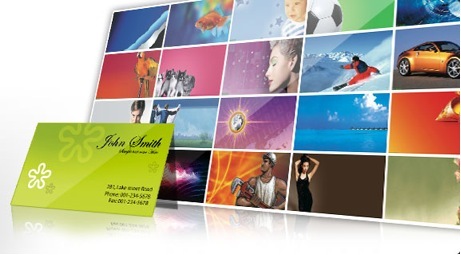 AllBusiness Cards offer cards that can be single or double sided, printed on thick 16pt card stock, and have a Glossy UV finish, a Matte Finish, or can come uncoated. The contest is only open to US and Canadian entrants. Make sure you are following both @NHammondDesign and @allbusinesscard on Twitter or on Facebook. [OPTIONAL] Subscribe to the Nick Hammond Design’s RSS Feed, to stay on top of all our updates. No cost to winner: Shipping and cards Free. 3 Winners each gain one set of 500 Business Cards. Winners to be contacted and information passed onto AllBusinessCards. Competition Closes June 5th, 2011 12:00 EST. Three winners all chosen at random, with extra entries included for people who spread the competition the most via twitter/facebook. Winners will be contacted within 3 days of the closing date. They will be given a 48 hour window to respond to claim their prize. You must be following @NHammondDesign and @allbusinesscard on Twitter or Facebook. The Contest is only open to US and Canadian Residents.